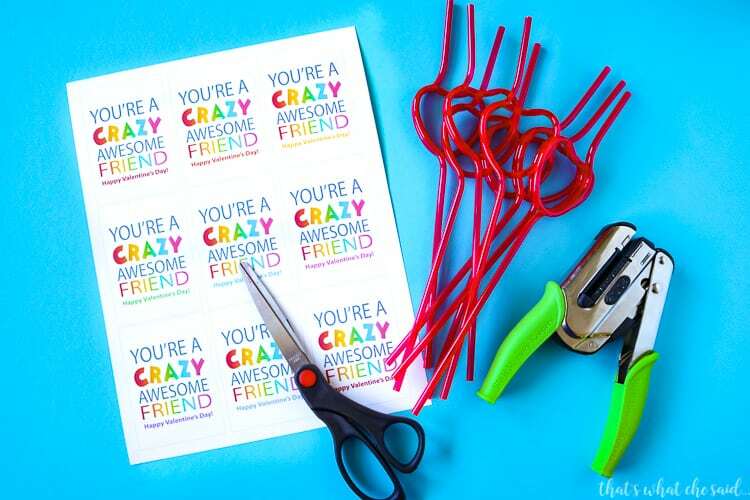 I am a huge fan of non-candy valentine ideas as our school doesn’t allow candy! 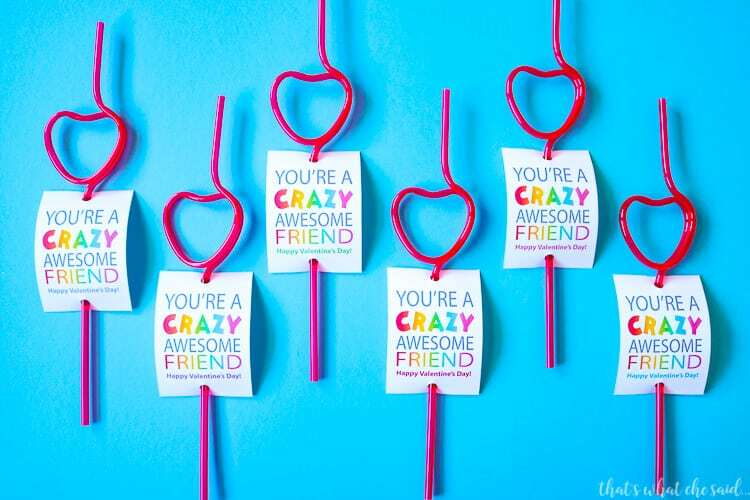 These Crazy Straw Valentine Cards are perfect for kids to pass out at school parties! I invite you to check out all my free printable valentine cards! There is something for everyone there! I enjoy making these! Crazy straws are always a kid favorite! I mean who doesn’t love to drink through a crazy straw! I tried to make these more about friendship than about love. It helps for my boys who are getting older and want to participate in the fun but not quite sure they want love stuff all over! I use the HP Envy 5540 Wireless All-In-One Printer to print these out and I also signed up for HP Instant Ink. I highly recommend this! Never run out of ink at 11 pm when you have to print out your kids report, or when you have to print these valentines out the night before your child’s class party…because let’s face it…#procrastinatorsunite. These are simple to assemble. 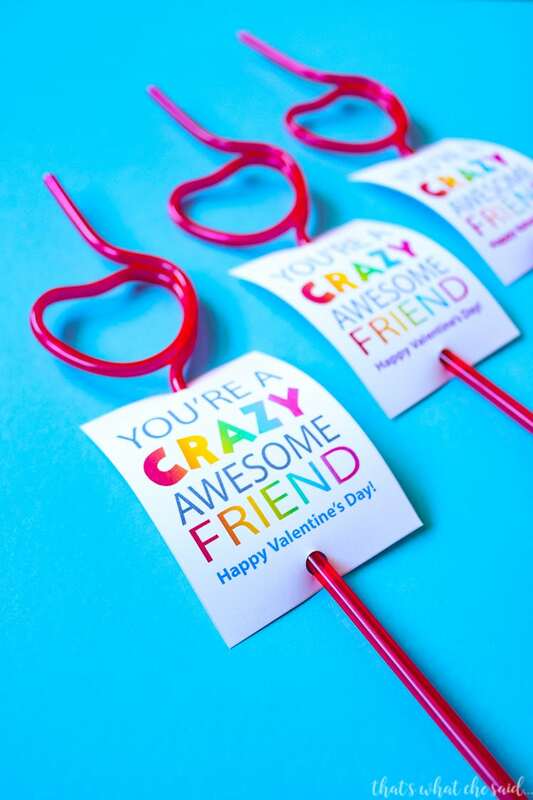 Simply cut out the crazy straw valentine cards, punch a hole at the top and bottom and feed the straw through the holes. Your child can sign their name at the bottom or on the back if you wish! This Smooches Valentine is super adorable too from my friend Cori at Hey, Let’s Make Stuff. 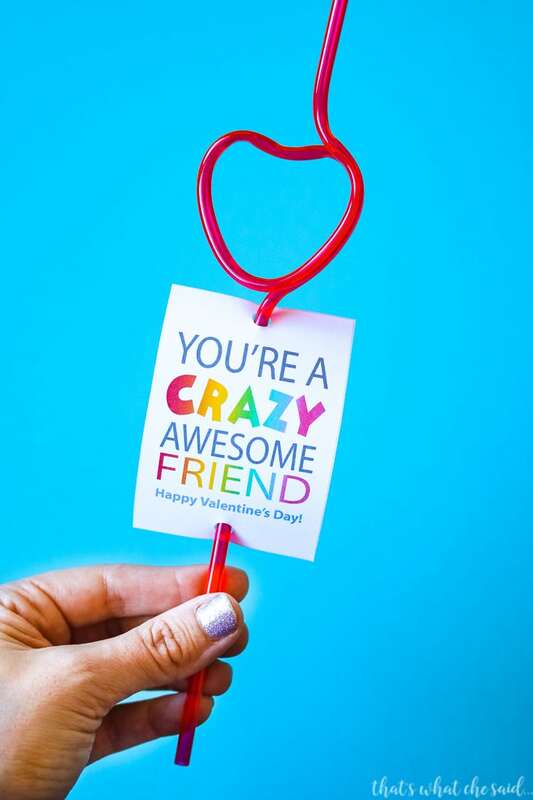 Pin this crazy straw valentine card idea!